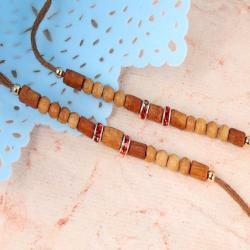 Set of two colorful pearls with diamond ring Rakhis made especially for you will be the best idea to make your loved one feel special on the eve of Raksha Bandhan. 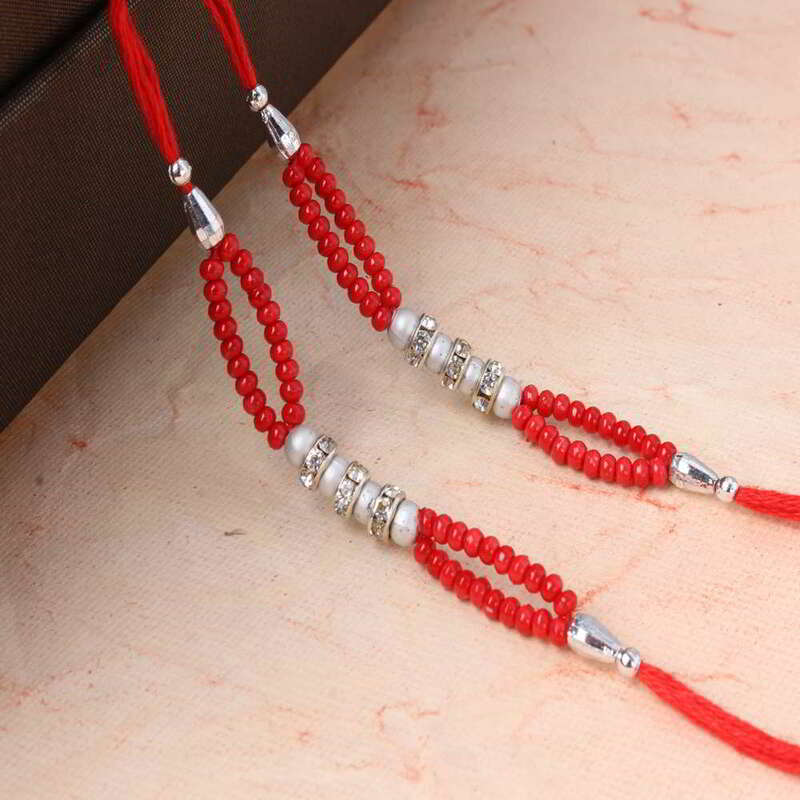 Red color pearls threaded with diamond rings and white pearls look amazing. 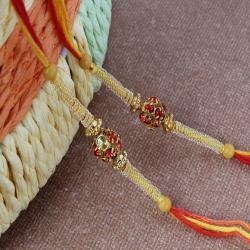 The double layer designer look of the Rakhi gives it a charming gaze. 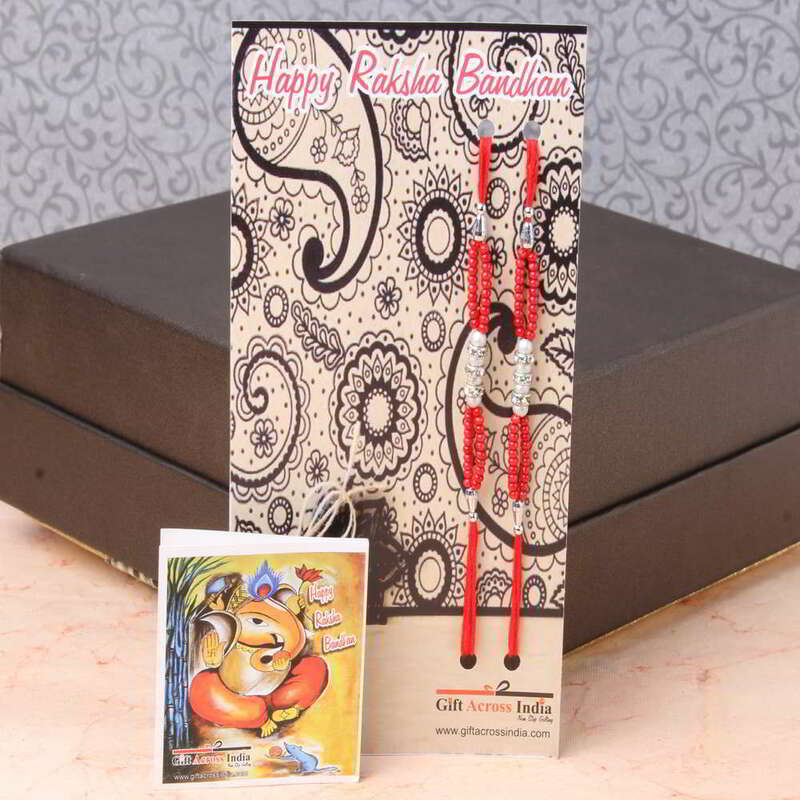 Make this special Rakhi be part of your Rakhi celebration and send it to your loved ones to celebrate the occasion with happiness. The combination of red pearls and diamonds looks amazing upon which the white pearls are making it glow. 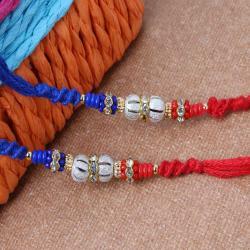 Product Consists: Set of Two Colorful Pearl with Diamond Ring Rakhis nicely tied on a designer Card.